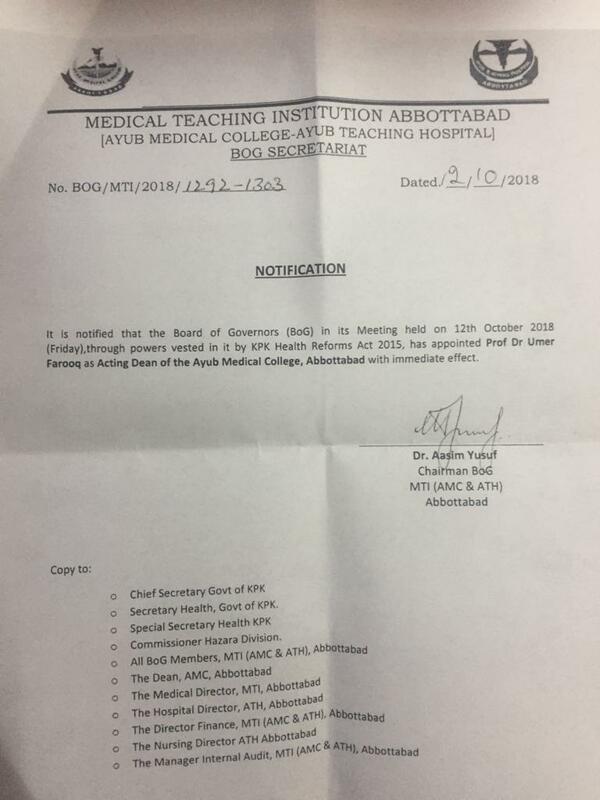 Appointment of Dean - Ayub Medical College, Abbottabad. Dr. Umer Farooq, Professor of Community Medicine has been appointed as Dean Ayub Medical College on October 12, 2018. He is an academician and a researcher with vast administrative experience. He has served in various administrative capacities and more recently held the post of Associate Dean Research.